Background or centerpiece lighting to set the mood or provide bright & practical illumination. Light up a room with calming warm white light or gorgeous color. 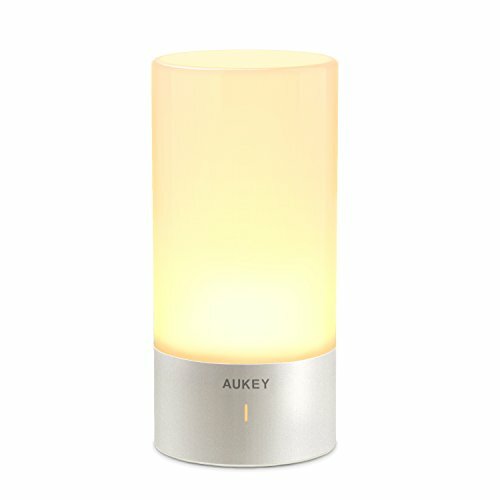 Illuminate your room with a gentle tap on the touch-sensitive base. Get your lighting right, whether reading or relaxing, with 3 modes to choose from- soft glow, ambient warmth, and bright light. A simple and elegant design to complement your home or office. Delight family & friends with a stunning, vibrant, dynamic display spanning the 256-RGB-color spectrum- Red, orange, yellow, green, blue, violet-and everything in-between. Or pick and pause on your perfect color. Dimensions: 215 x 100mm / 8.5" x 4"